The Community Health Council of Wyandotte County is a small office on a BIG mission. Charged with improving healthcare in Wyandotte County they seek to inform and guide a diverse market through it’s healthcare options. The first step to promoting this organization was an increased and improved web presence. Fuller Creative discovered that 80% of CHC’s constituents were accessing the site on a mobile device and that a large number of these were ESL families.We tackled this by creating a responsive website that featured well on phones and tablets as well as on traditional desktops and laptops. 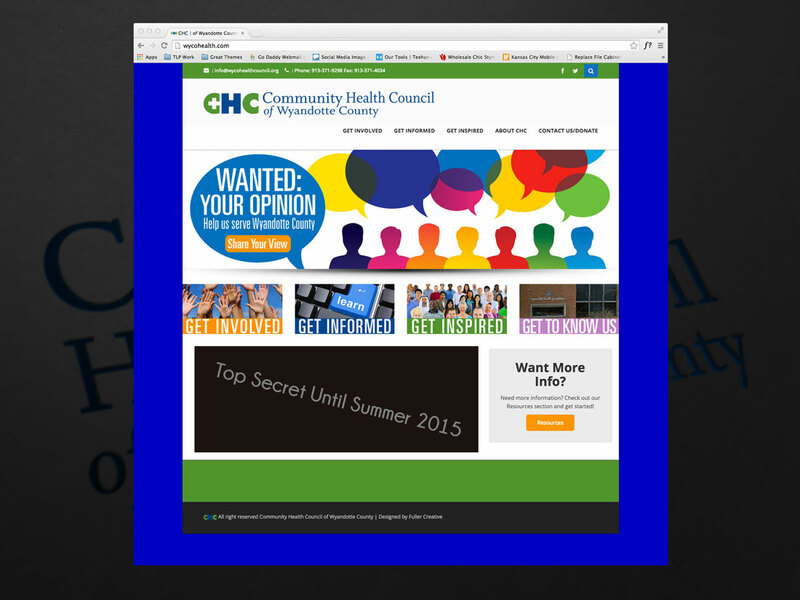 This site featured inviting pages, rich with resources such as clinic reviews, video story submission pages, ways to connect and more. Launching soon Fuller Creative will expand with a phase II that builds on the web and Prezi presentations into a marketing campaign that gets the word out about these expanded services and resources.